During the visit, Amit Shah will address a conference of 'Pristha Pramukhs', considered to be the BJP's organisational backbone. BJP has set a target to win both the Lok Sabha constituencies in Tripura in the 2019 general elections. 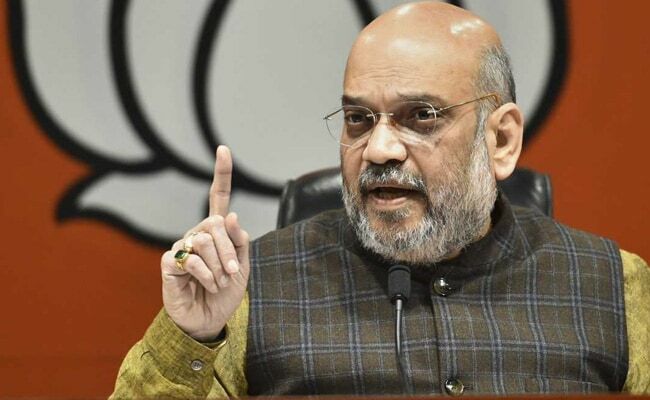 BJP national president Amit Shah will visit Tripura on January 5 to check the party's preparedness for the Lok Sabha elections. During the visit, Mr Shah will address a conference of 'Pristha Pramukhs', considered to be the BJP's organisational backbone. There would be no public rally as it would be purely an organisational matter, and only Pristha Pramukhs would participate in the conference apart from state-level leaders of the BJP. "Amit Shahji is scheduled to visit the state to address a Pristha Pramukh sanmmelan at Vivekananda Ground on January 5. During the conference, he will check the organisational performance and give some must-to-do assignments to the Pristha Pramukhs for the 2019 general elections," the party's chief spokesperson, Ashok Sinha, said on Friday. Tripura Chief Minister Biplab Kumar Deb, who is also the BJP state president, held an emergent meeting at the party headquarters on Thursday night to prepare the ground for the conference. As of now, the party has engaged 700 to 1,000 Pristha Pramukhs for each of the Assembly constituencies in order to reach out to people. Buoyed by the landslide victory in this year's Assembly elections, the BJP has set a target to win both the Lok Sabha constituencies - West Tripura and East Tripura in the 2019 general elections.